Summer is a great time to experiment with new technologies because we all have just a little bit more extra time on our hands. So when you have some free time between soaking up the sun and going on vacation, check out Google Labs. Google Labs is an exciting resource offered by Google. It is essentially a place where users can go and literally “experiment” with new ideas and applications Google is testing out. Users can provide feedback, and if the feedback is great, then Google may launch the greatest thing since Gmail. From exploring the human body to using word processors with autocomplete, Google Labs is a great place to go when you want to waste some time trying out cool new technologies from the brilliant minds of Google’s engineers and researchers. Google labs is always changing, and introducing new applications to test out and use. So take some time and check out the new “experiments” in Google Labs and be a part of deciding which applications make it to Google! It is pretty clear from this blog that I am a huge supporter of Google…these days, who isn’t? There are so many apps to do so much with and they all collaborate so nicely together. But that’s not the best part-they are absolutely free! One Google App that we have been putting to great use lately is Google Sites. An app where you can easily create and personalize your own website at no cost? Priceless. If you’re looking for a new project this summer, creating a website with Google Sites is a great idea. Start off the new school year next August in style with a new website to share with your students, and even better, get them to create one too! 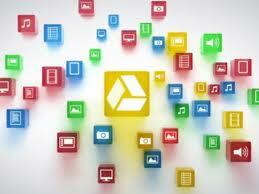 With Google Sites, users are able to create websites with multiple pages, where they are able to upload pictures, documents, videos, and easily integrate other Google Apps. This tool is a great way to get your students to communicate, share their work with others, and build upon a skill set that will be highly valued when they graduate and enter the professional world. Check out our website to find handouts and videos about creating a website with Google Sites, and let the learning and exploring begin! Comments Off on Need a scholarly article? Google it.